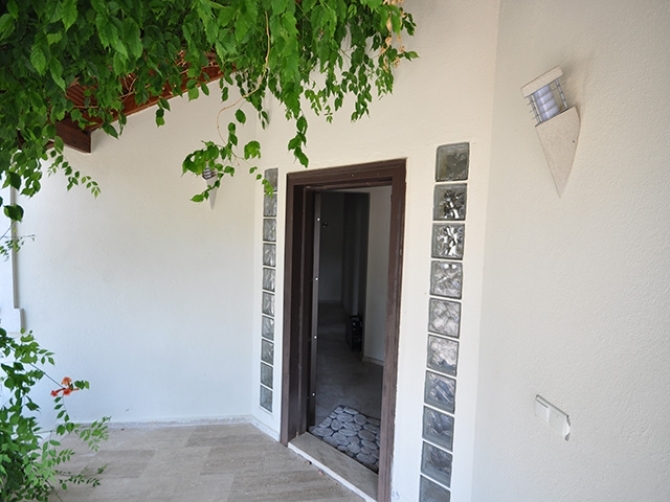 This three bedroom bungalow with large private garden can be found in a peaceful residential area of Uzumlu, being a pleasant walk into town where you can find a number of restaurants and local shops. The property opens into a hallway with an open planned kitchen and lounge; the kitchen has a traditional finish with dark wooden cabinets and granite worktops. Also there is plenty of space for a dining table and chairs. From the kitchen and lounge is a large terrace. The lounge is spacious and bright with a decorative stone wall and open fireplace. There is a family bathroom with large corner shower and hand basin in a vanity unit. 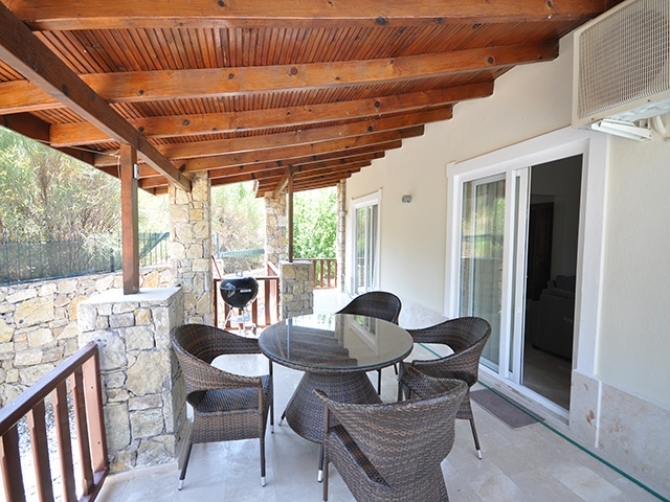 The bedrooms have been furnished as 2 double bedrooms and a twin bedroom. The master bedroom has a private bathroom which has been fitted with a beautiful corner Jacuzzi bath tub. 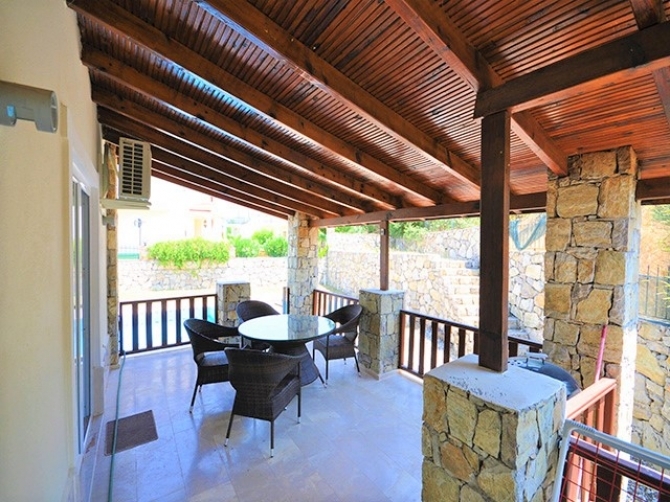 Both double bedrooms have access to a balcony. The bungalow sits within a large garden with its own private swimming pool with roman steps and secure driveway. 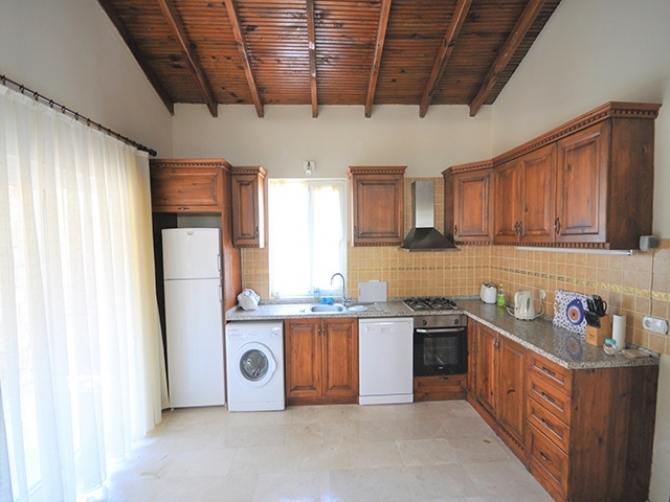 The property features, being sold fully furnished, wooden vaulted ceiling, jacuzzi tub and large terraces around the property.